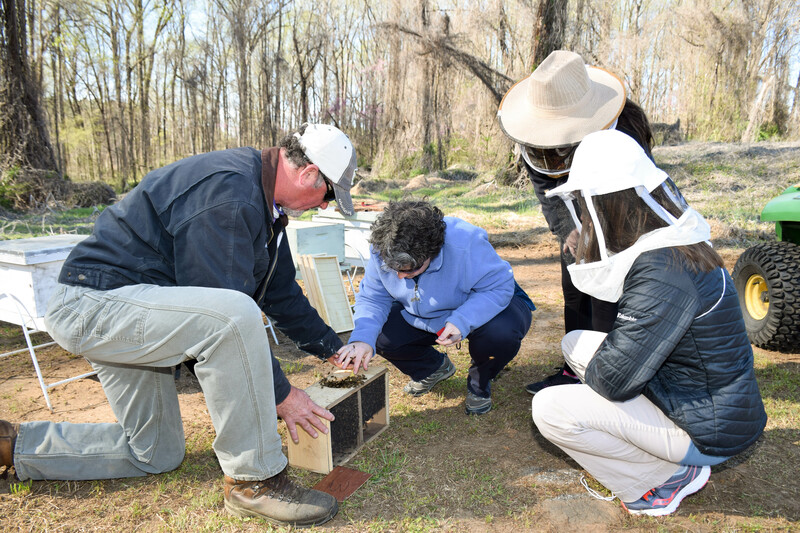 The Nash Community College Bee Campus committee transplanted four honey bee hives to the Nash Community College Apiary on Monday, April 1, 2019. Nash Community College is a pollinator-friendly campus and a Bee Campus USA affiliate. As a certified affiliate, NCC has a Campus Pollinator Habitat Plan featuring locally native, pollinator-friendly plants and a least toxic integrated pest management plan. 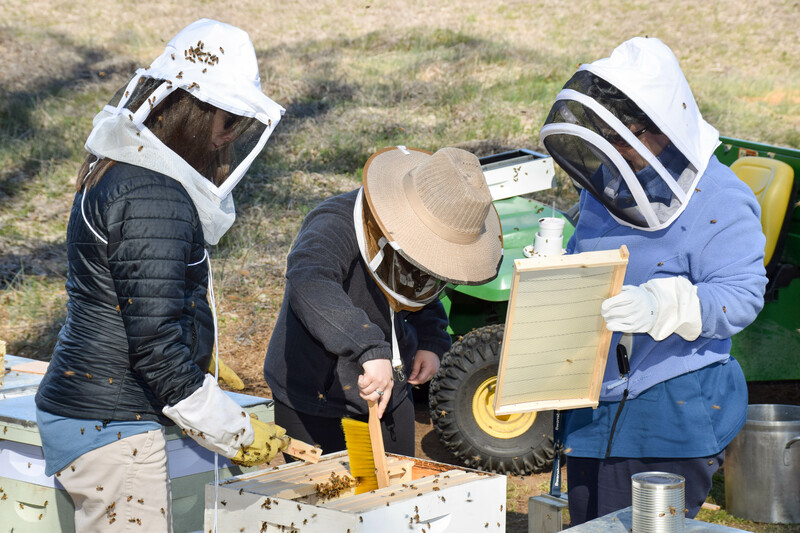 The campus hosts annual events to raise awareness of the importance of pollinators and annually sponsors and tracks student service projects to enhance pollinator habitats on-and off-campus. NCC biennially offers a pollinator protection course and incorporates pollinator protection topics into curriculum. Individuals who facilitated the transplant are pictured from left: Master Gardener, Ken White; NCC Biology Instructor, Christine Ricci; Associate in Science student, Haley Honeycutt and NCC Biology Instructor, Lettie Allen.